Our client purchased a property in the popular Hastings school zone, Port Macquarie. Built in the 1970s the home is functional and well built but in need of modernising. 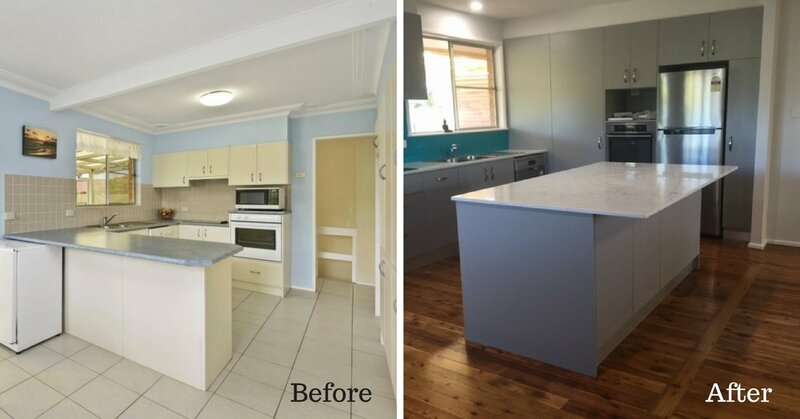 Pacific Coast Carpentry manage small and large renovation projects in Port Macquarie Hastings. Pacific Coast Carpentry were engaged to remove interior walls and create a space for contemporary open living. We removed the internal walls and installed a new structural timber beam to meet Australian standards. In addition we removed and replaced the cornice and patched the ceiling between the two rooms ready for paint. This service included resheeting the kitchen area, ceiling patching, cornice and finishing. The front verandah featured dated columns and 1960’s style wrought iron balustrading. The new timber handrails with stainless steel wire create a modern contemporary entry to the updated home. 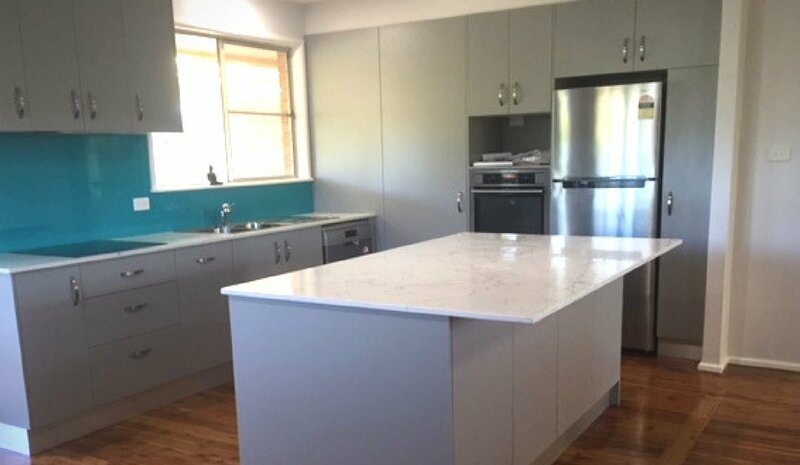 The kitchen was supplied by a Port Macquarie kitchens installer. Pacific Coast Carpentry removed the internal walls and installed the beams to create open plan living.